kaiwhara wrote: Not that one, 328 is GGU949, and 381 is GHY188, both Scania K280UB6 with Designline Bodies in Northern Express Colours. Just an update for Bayes Coachlines for those who may have not checked the fleet list recently. 115 the Isuzu LV324L has been written off and scrapped for parts. 126 and 127 will join the charter fleet and come with luggage compartments, thermo king airconditioning and Hanover destination displays. 125 will have a cummins engine, thermo king airconditioning and hanover destination displays. I find it interesting that they are only two-axle buses but have a high seating capacity!!! Thanks Anthony99 and GOBUS121 for those minor corrections. Now fixed and updated. Mr OC Benz wrote: I find it interesting that they are only two-axle buses but have a high seating capacity!!! If their purpose is for charters eg Schools, day trippers and sports excursions etc. then they're bound to jam in as many seats as possible. The first of the two MAN 15.280's for Bayes (126) has arrived and in service - Rego GQF150. Mr OC Benz wrote: The first of the two MAN 15.280's for Bayes (126) has arrived and in service - Rego GQF150. Do you have a photo of it. Which company put out together. Here are some shots from Bayes Coachlines of #126. MAN 15.280 with Coachwork body. Looks far to nice for a School Bus ! #29 was sold as a movan?? #20,23,28 are no longer owned by h&e,presumably sold?? Howick & Eastern #8 & #17 were sold as Movans. #8 went north to Whangarei and #17 went south to New Plymouth. As far as I know #20,#23 & #28 were sold for parts and exported to Fiji. #29 was sold to Kawerau Coaches. 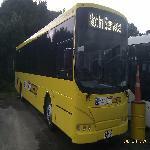 Mana #138 ( Briefly #63 at H&E ) was sold to Matakohe Passenger Transport after a body overhaul at Auckland Coachbuilders. Thanks guys for the info. Greatly appreciated. Only three LT111P's remain in BTL fleet - #4,#33 & #42 and a lone Volvo B6FA of 1987 vintage - #36.
stadt80 wrote: Howick & Eastern #8 & #17 were sold as Movans. #8 went north to Whangarei and #17 went south to New Plymouth. Im getting real rusty on Howick and Eastern these days.... so what were 20. 23 and 28 and were they exported whole or in parts..... If it was parts they could be to anything but if it was the complete Buses... well..
20,23 & 28 were 1989 Hino RG 197's with Coachwork International Ranger II bodies. They were exported whole. 23 had been deregistered and to be scrapped due to a blown engine, it may have been canibalised for parts before it's sale. stadt80 wrote: 20,23 & 28 were 1989 Hino RG 197's with Coachwork International Ranger II bodies. They were exported whole. 23 had been deregistered and to be scrapped due to a blown engine, it may have been canibalised for parts before it's sale. Does anyone have the regos for ADLs 4195-4199, 4217-4222 and any newbies that haven't been recorded on the fleet lists yet? 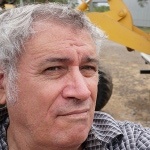 And also the where abouts of some ex-Wellington 1300s and 1800s would be good to know.